The story of Naruto is truly an epic one and we’ve at least seen a glimpse of his hardship outside of the anime itself. It feels awesome thinking that we live in a time where the legend of Naruto still thrives through the anime series, Boruto: Naruto Next Generations. Behind every legend are masters who have taught them everything they need for their triumph. One such is Hatake Kakashi. Known as the most adept ninja in their peaceful village of Konoha, Kakashi had the opportunity to be Naruto’s teacher. In that period of time, he had seen how Naruto has grown to be the future leader of Konoha and together with Team 7, they have surpassed all hardships. Although outside of his life as a teacher, he was always seen as a mysterious masked ninja who has a habit of reading even in the most dire situation. Expectedly, behind the mask, he’s a ninja with a bitter past that was revealed in the twist and turns of the anime series. Nevertheless, every bootlegger also knows the popular story of Naruto and would live up taking advantage of it for their selfish gains. They’d mostly to gain, especially, when they trick Naruto fans into buying a fake Kakashi figure that was released more than 10 years ago. Many shady stores on AliExpress take advantage of outdated figure designs to trick fans or collectors alike. 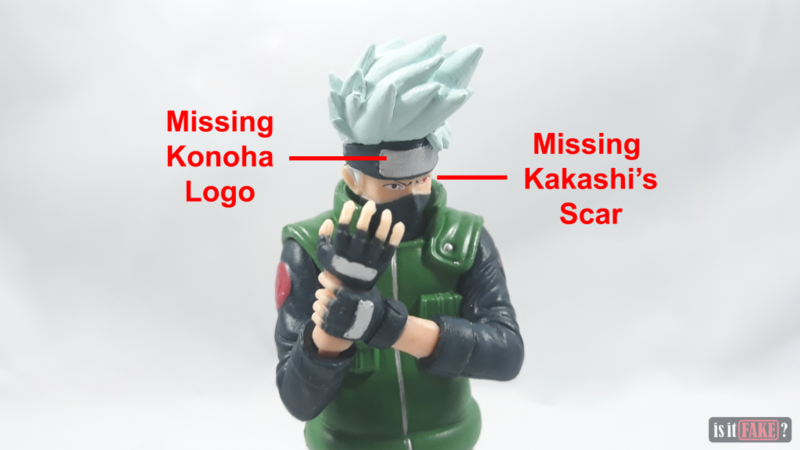 The Hatake Kakashi figure from the Kyukyoku Shinobi Takei collection by Bandai is an easy victim for these bootleggers. Released a decade ago, it would seem that “official stores” like RMDMYC had the idea of mixing figure components from different collections so that they could disguise the perfect fake figure – or so they think. As always, no fake figure goes unrevealed especially for those with eyes as keen as an eagle’s. 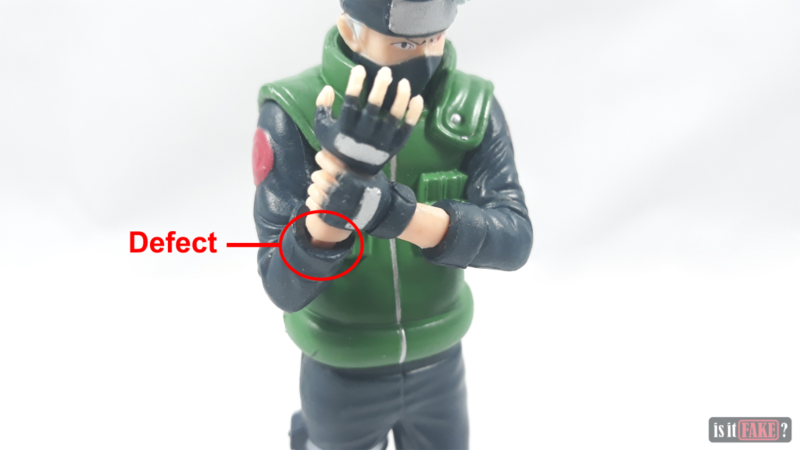 Even for the fake Kyukyoku Kakashi figure, its flaws will be pointed out bit by bit and surely, you would be in utter disgust. 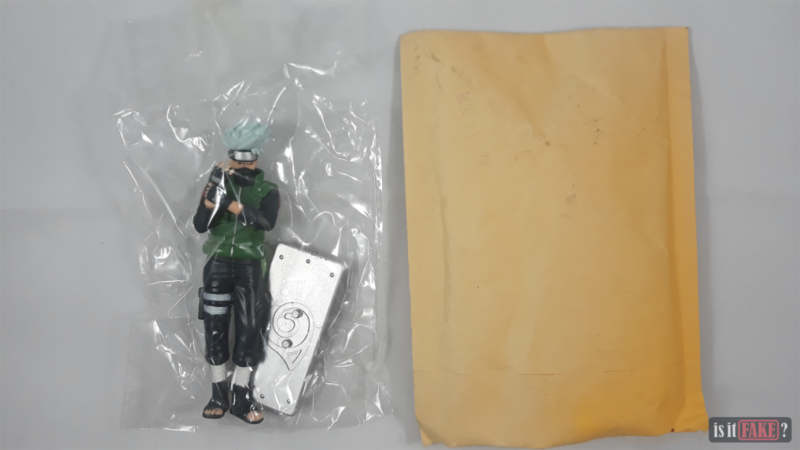 Arrived in a courier’s small packet packing, the fake Kyukyoku Kakashi figure can be found inside a torn, cheap plastic . In absence of a branded box, it’s not that shocking since bootlegs tend to size down their cost by not producing such packaging. 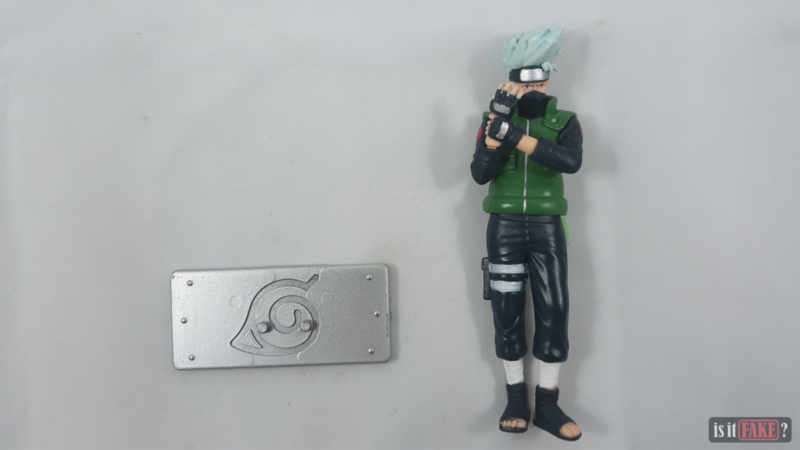 The fake Kyukyoku Kakashi figure only has the base which came with it. Initially, everything looks fine with the components apart. Most of the time, you’d try to fit the figure on its base but expected of the fake, it would be almost impossible since holes on its feet are too small. 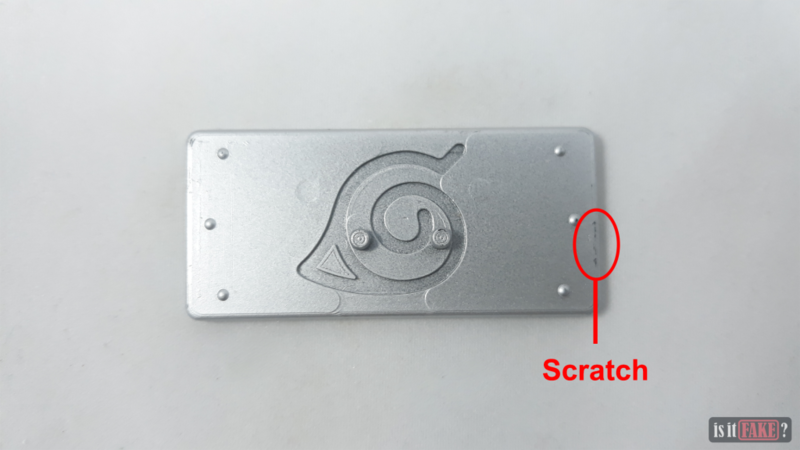 Looking at the base, we see a gray, metallic finish with a Konoha imprint on it. 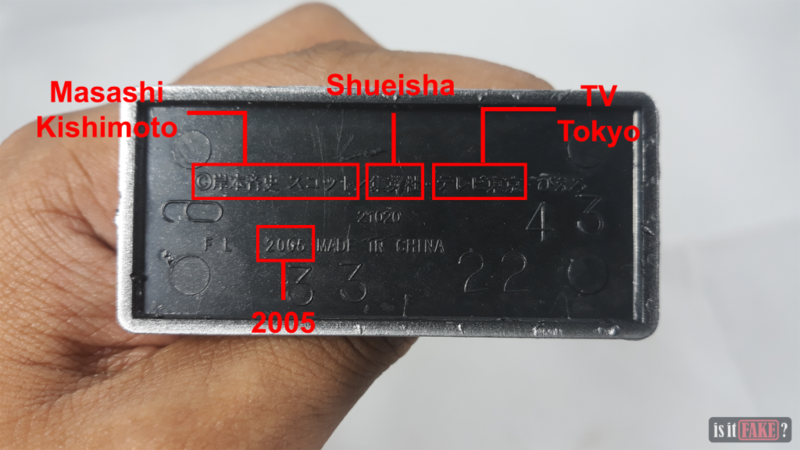 On its bottom, Japanese texts are found stating the copyright. The manufacturing year is imprint and the country where it was manufactured. 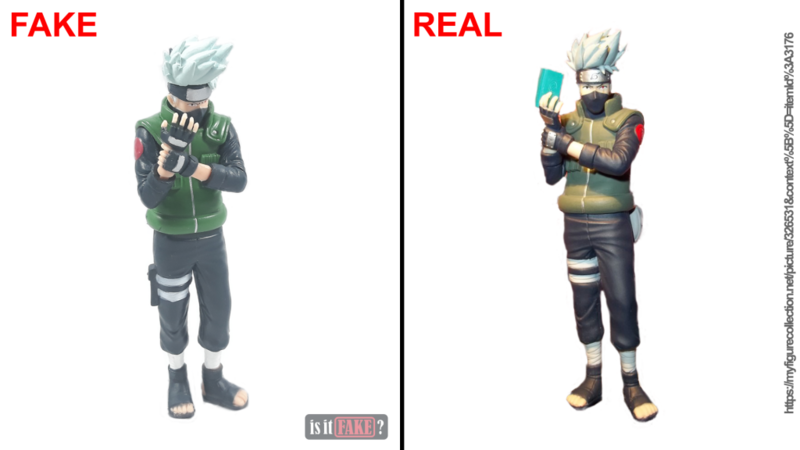 Though what sets the fake figure’s base off is that the real Kyukyoku Hatake Kakashi figure was released in 2008, not 2005. 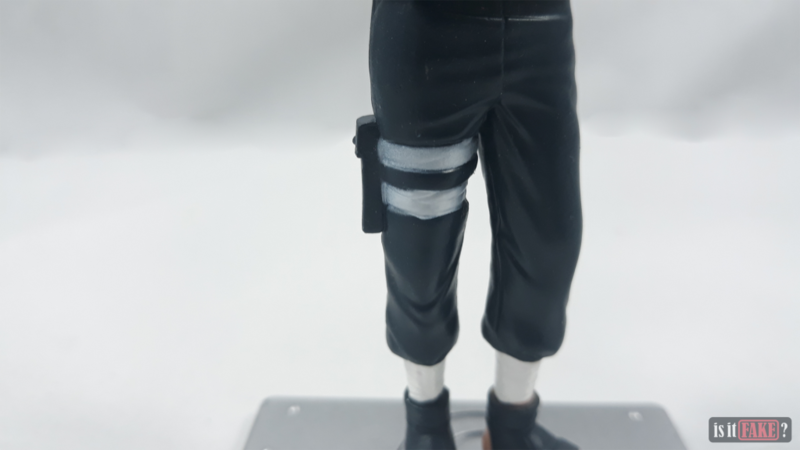 It’s clear that the base isn’t exactly for this fake Kyukyoku Kakashi figure. 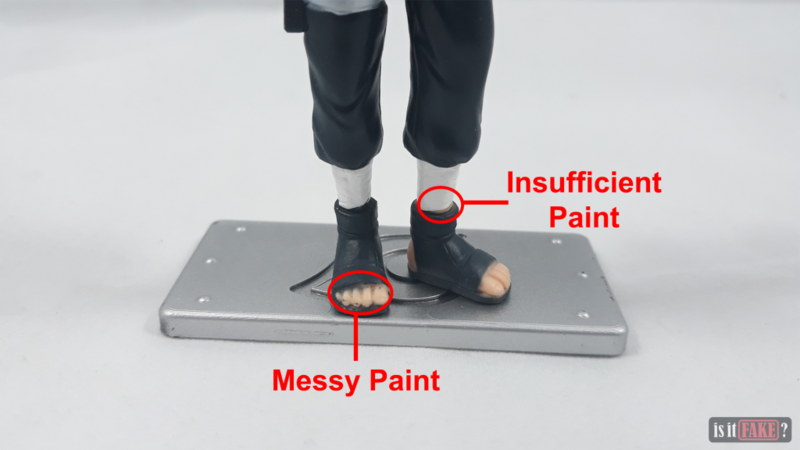 Getting a glimpse of the figure itself, the fake Kyukyoku Kakashi figure looks like it had a glossy finish though without a doubt, its flaws are shown all over. 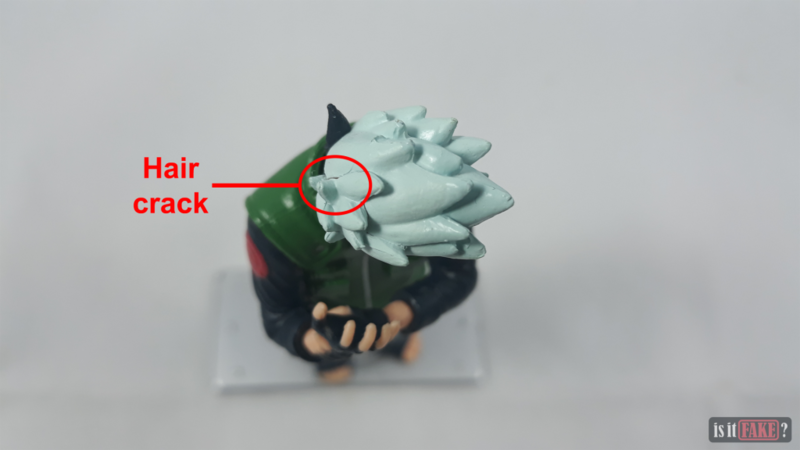 Starting from its head, we see a light blue paint job for its hair which is definitely seen as a flaw since Hatake Kakashi has a light gray hair color. Cracks can also be seen on this area of the figure as well as paint lumps. 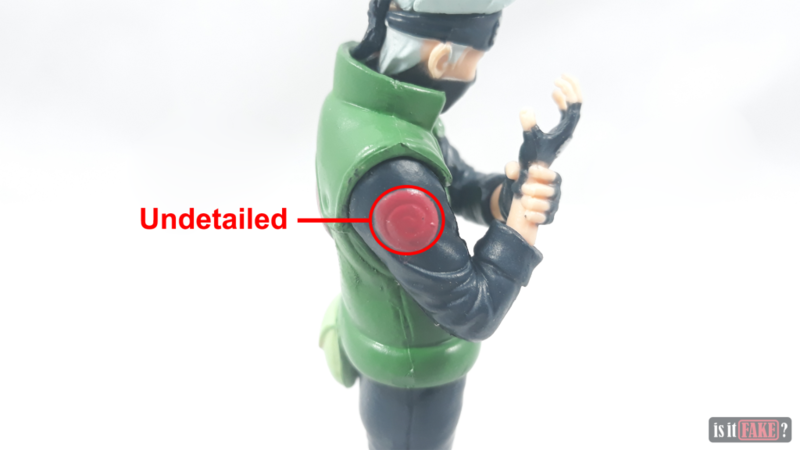 Moving a little bit below, its supposedly Konoha head protector is missing its logo, not to mention its supposed Sharingan left eye was just toppled with red ink, missing the core of its detail. If you’re not yet convinced that this figure’s a bootleg, then you might haven’t seen its arm almost detached from the figure. Misaligned paint on its gloves can also be noticed when you look at it closely. The back seems fine though – NOT! There are scratches and a slight burn that makes it look like that the a part of that area melted away. More defects can be found on its lower body, hope you still follow! Aside from the sloppy paint job, the details on its feet are just completely negligent. For one, the toes aren’t the same sizes and looks ridiculous. With further observation, the fake figure cannot stand on its own because of its longer left foot. 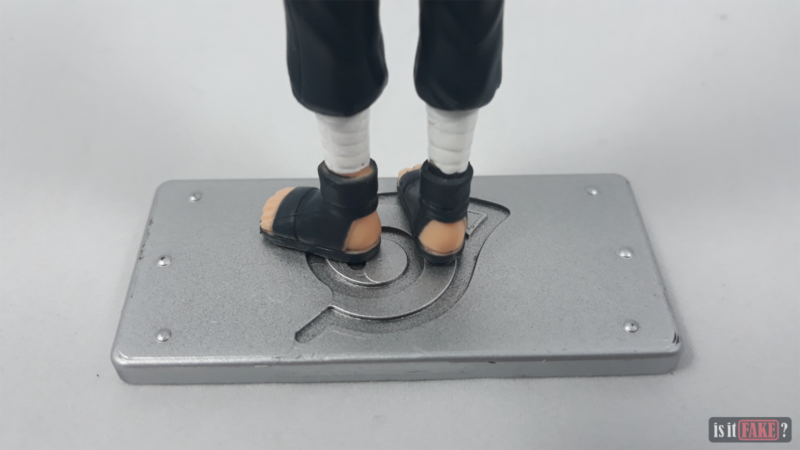 The feet are also too close with each other which is another reason for the difficulty in attaching the fake figure to the base. 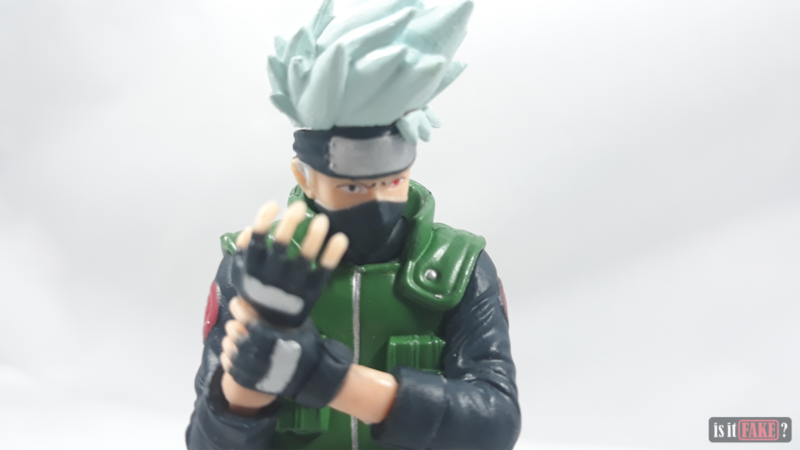 The real Kyukyoku Hatake Kakashi figure says it all! Indeed, it has the touch of a deadly ninja. 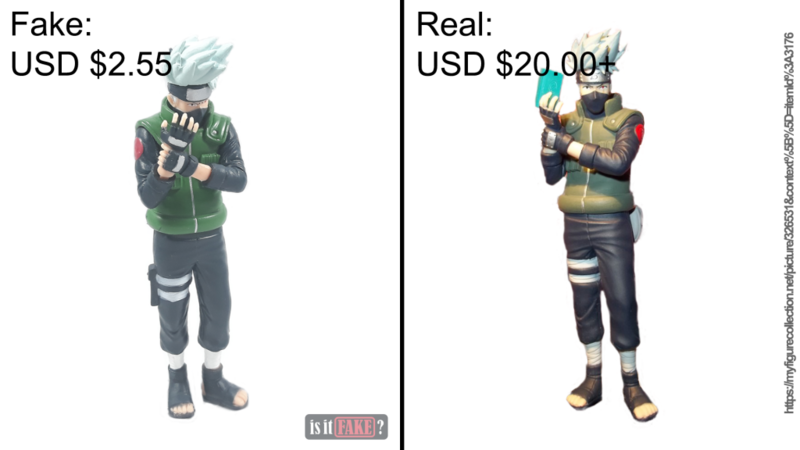 It’s what the fake Kakashi figure failed to fulfill. 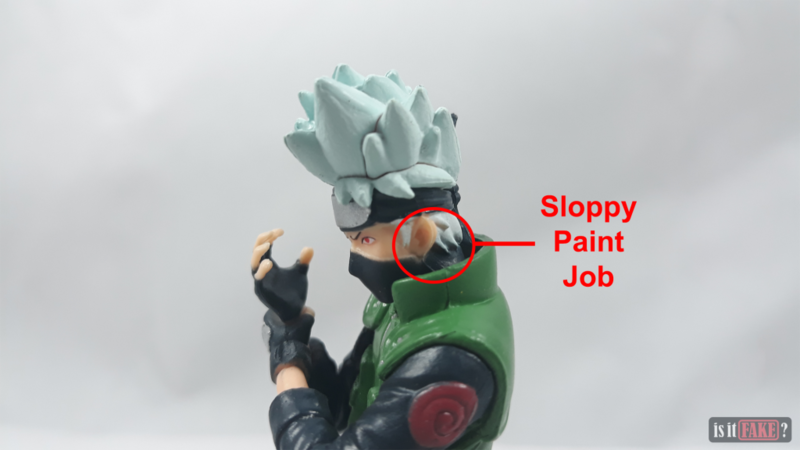 It’s obvious that the fake Kyukyoku Kakashi figure missed a lot of details such as the hair color, and especially Kakashi’s scar on his left eye though that’s only the peak of the quality one will get for a price of a dollar or two. 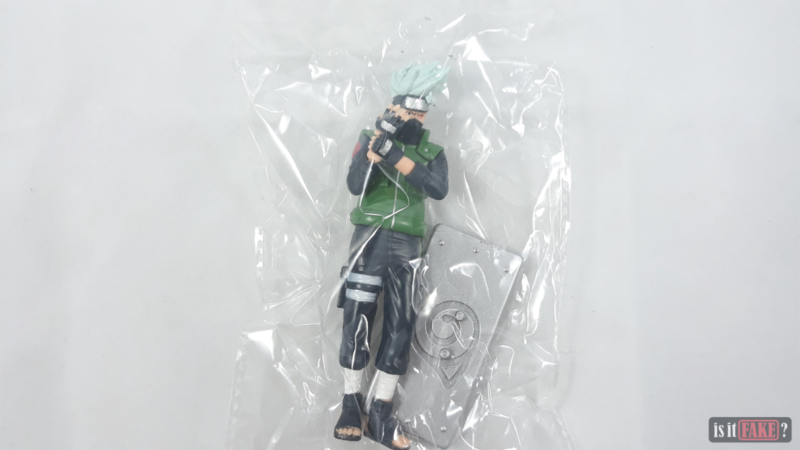 For a price of $2.55, this fake Kyukyoku Kakashi figure certainly delivers its awful qualities. A figure with such price will only end up a disappointment. Nevertheless, you’d always get what you paid for. 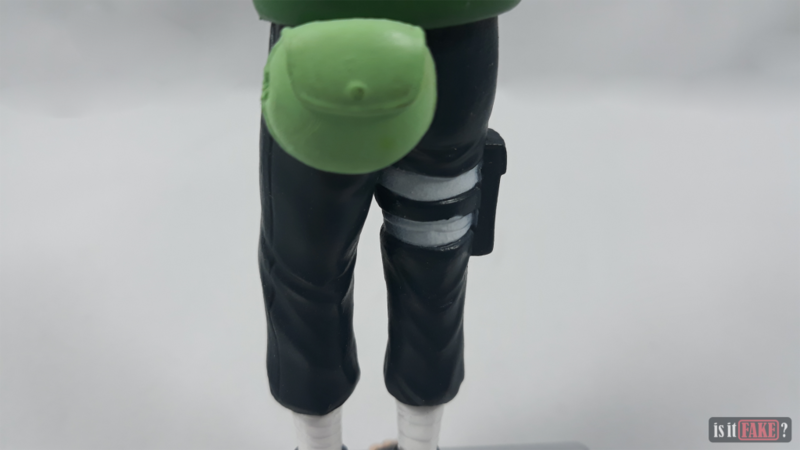 On the other hand, the real Kyukyoku Hatake Kakashi figure goes around $20 and surely, a figure made by Bandai will give an above the expectation product. Although, it’s been more than a decade since the Kyukyoku Shinobi Takei collection had been released. Prices of figure tend to go up and it’s not surprising if you find the figure at a high price in a physical store. 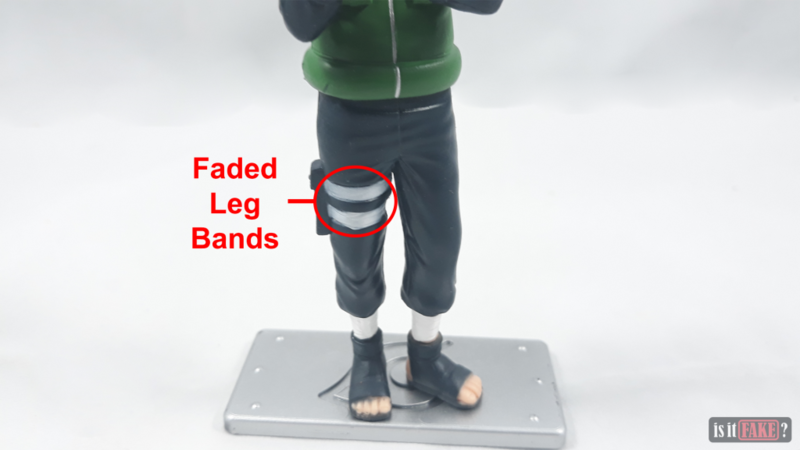 It’s sad to say that the figure is relatively old and there were a lot of releases for Hatake Kakashi figures. 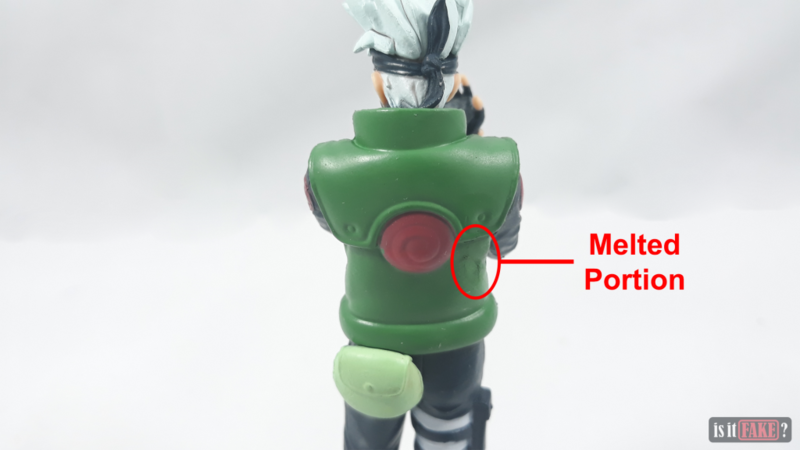 We’d recommend to take caution if you see a Kyukyoku Hatake Kakashi figure posted on online stores. 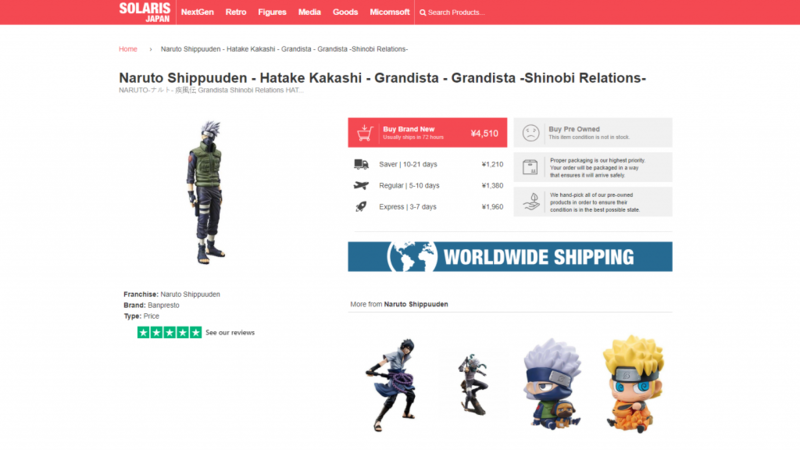 Despite the fact that the Kyukyoku Shinobi Takei collection has already been sold out, there are a lot of affordable Hatake Kakashi figures that were released. 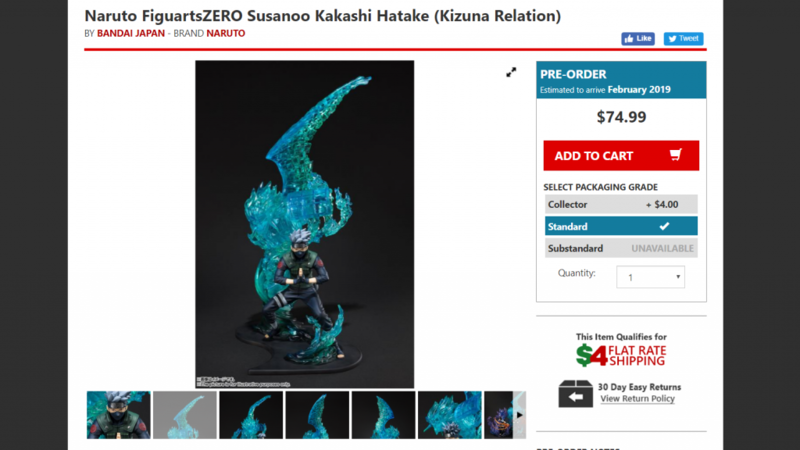 Let’s take it from Bandai’s Figuarts ZERO collection with their Susanoo Hatake Kakashi figure! BigBadToyStore surprisingly offers a relatively cheaper stock for this figure since other reputable online figure stores would have the same figure at $100 and above. It’s also relieving as the packaging, as stated, is in good shape. 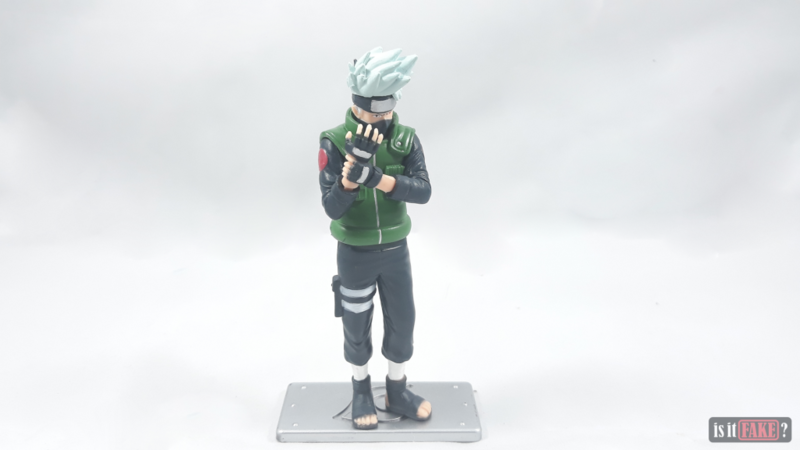 For a more affordable choice, Banpresto has a Hatake Kakashi figure double the size of the Kyukyoku Hatake Kakashi figure from their Grandista collection. The figure is up for grabs in Solaris Japan for those fans of the most notorious Sensei. Evidently, it’s a more solidly detailed figure than the Kyukyoku collection and would totally answer for its $40 price. Needless to say, old figures are mostly prone to being corrupted bootlegs. 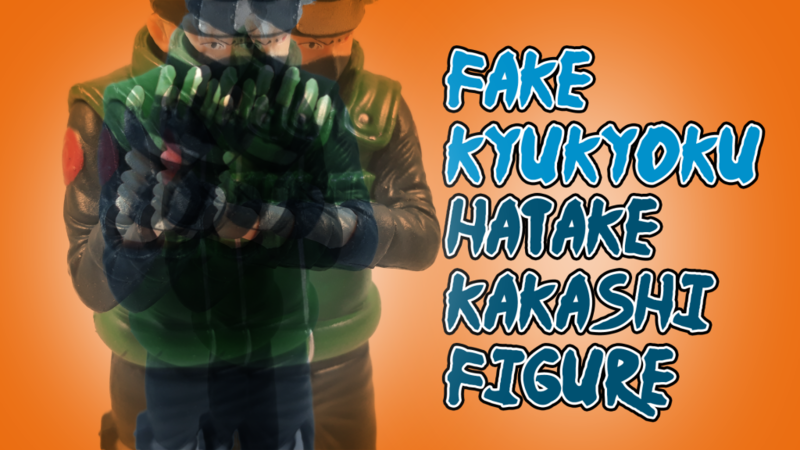 As such, the fake Kyukyoku Kakashi figure is truly a manifestation of this occurrence. The fake figure’s careless paint job and negligence to details are confirmation of its inferiority. If that’s not all, the base provided to the fake figure is also at fault. 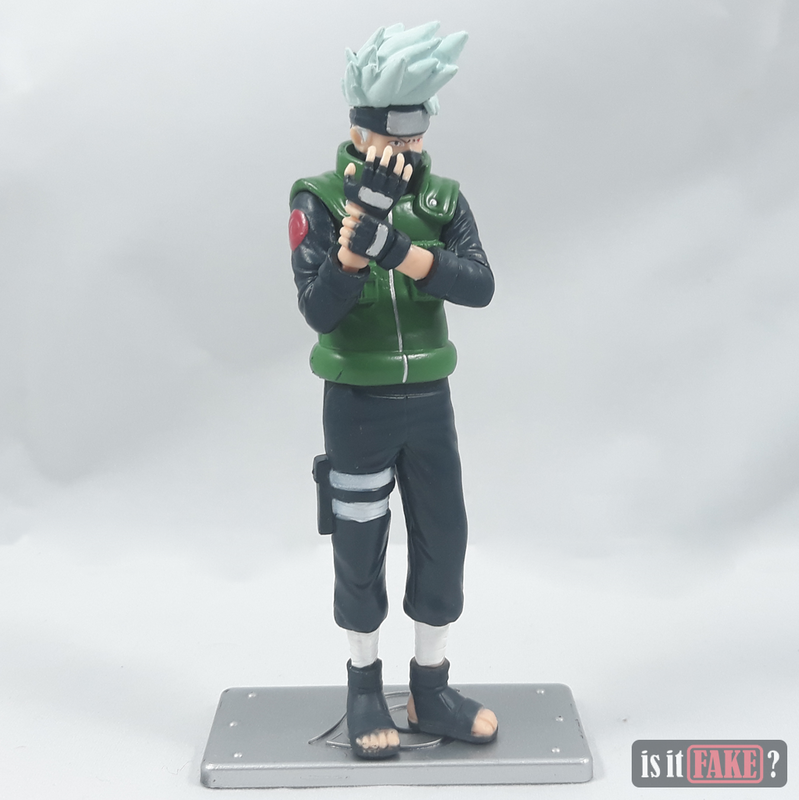 It’s up to fans to avoid such products which then we give this horrid fake Kyukyoku Kakashi figure a 75% terrible rating.